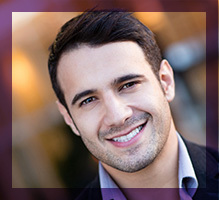 We all want to have beautiful smiles, and our cosmetic dentist in Lawrence can help! #1. Don’t forget to change out your toothbrush or toothbrush head. Most people know that brushing their teeth is essential for achieving a beautiful smile, but did you know that replacing your toothbrush or toothbrush head is also essential? Over time, bacteria start to build up on your toothbrush, and rather than removing the plaque and bacteria in your mouth, it adds to it. Additionally, after a few months of use, the bristles in your toothbrush start to break down and aren’t as effective at cleaning your teeth as they used to be. Make sure you replace your toothbrush or toothbrush head every three months. #2. Visit your dentist twice a year for cleanings. As a general rule, you should schedule an examination with your dentist every six months. This allows the dentist to ensure that no cavities are forming and there are no signs of oral cancer, and to check on the overall health of your mouth. But in addition to your regular examinations, you should also get regular dental cleanings. These regular cleanings will keep surface stains at bay and help you enjoy an all-around more attractive smile. #3. Make flossing a priority. In recent years, there has been some confusion as to whether or not you should floss. However, regardless of whether the American Dental Association recommends that you floss or not, it’s still an important part of a healthy, beautiful smile. Flossing is the most effective way to get rid of the hard-to-reach plaque that can build up on the gum line. Not only is this plaque unattractive, but it can lead to periodontal disease if left for too long. If you smoke cigarettes, and you’re looking for an effective way to enhance your smile, quitting is one of the best things you can do. Smoking causes stains to form on the teeth, which are luckily superficial and can be removed by your dentist. However, if you’re a long-term smoker, those stains can get steeped deep into the enamel of your teeth, making them a lot more difficult to remove. #5. Rinse your mouth after you eat. The longer foods and beverages are in contact with your teeth, the more likely you are to get surface stains. Rinsing your mouth after you’ve had anything to eat or drink helps to wash away the bacteria and residue in your mouth, which will help to prevent stains. 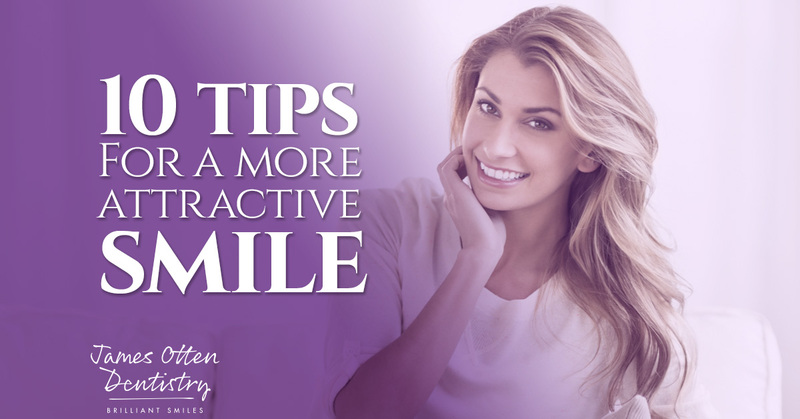 Learn more tips for achieving a more attractive smile when you stay tuned for our next blog.